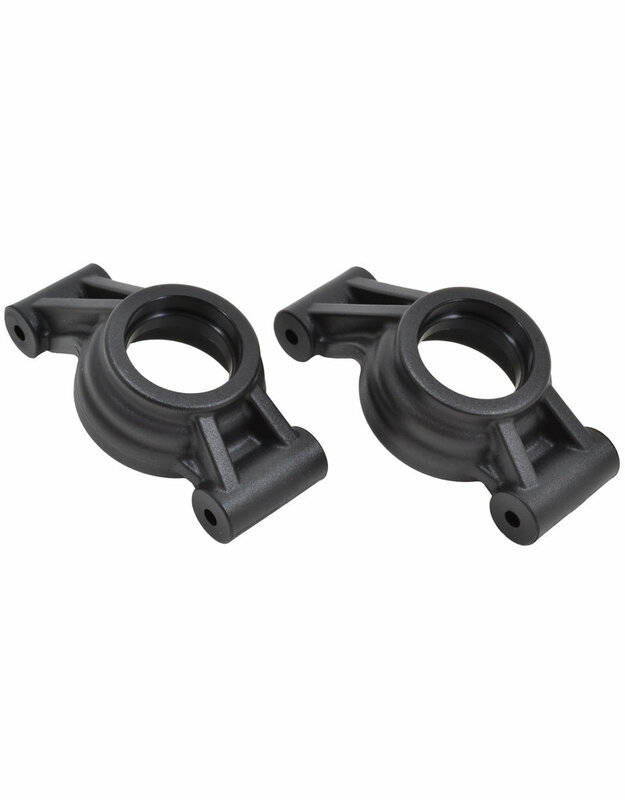 RPM Oversized Rear Axle Carriers for the Traxxas X-Maxx were designed to solve two key issues reported by owners of these massive beasts. The first being durability. These carriers are designed to handle some serious abuse. RPM Oversized Axle Carriers are BEEFY, with massive support ribs for the strongest possible carriers available. The other area of improvement comes in the form of larger inner bearings. The stock inner bearings are a mere 20x27x4mm. The oversized bearings in these carriers are gigantic 20x32x7mm bearings! That's 5mm larger on the diameter and 3mm on the width! That equates to a dynamic load rating that is nearly 300% higher than the stock bearing while the static load rating is over 300% higher! The Oversized Rear Axle Carriers are molded in black and backed by RPM's limited lifetime warranty against breakage.